Positive Paste Salander shines as bright as ever in The Girl Who Takes an Eye for an Eye, but the plot often keeps her and Blomkvist separate, resulting in an unfortunate deficit of the vibrant (if uneasy) chemistry the two shared in Larsson’s trilogy. And Blomkvist fades a bit here, as Lagercrantz feels more devoted to the characters of his own creation, Mannheimer in particular. Society’s ills drive Lagercrantz’s writing much the same way they did Larsson’s. The original trilogy laid the story across a complex backdrop of injustice, government corruption and pervasive masculine violence. Lagercrantz added privacy concerns and government surveillance to the mix in his first entry, while this one revolves around racism, religious fundamentalism and questions about genetics vs. environment. Like The Girl in the Spider’s Web, this book is a worthy successor to Larsson’s trilogy. 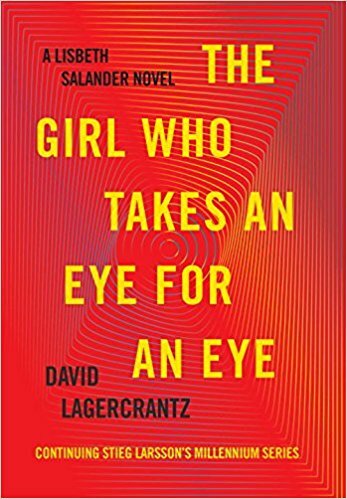 But The Girl Who Takes an Eye for an Eye also feels like a tipping point, in which Lagercrantz begins to march the saga in a direction all his own. Positive Paste Fittingly for a novel that centers on a struggling musician’s push to record his latest batch of songs, Lee frames the story so that it unfolds like an album—the chapter titles turned into song titles, annotated with running times that evoke songwriting’s greatest magic: the ability to distill the emotions and experiences of days and years into mere minutes and seconds ... The action develops slowly, plot in service to character, the pacing perhaps a bit too steady. In many ways, the novel itself reflects Yadin’s description of his new music: 'Simple, quiet stuff. No frills, just slow, raw songs' ... Like a beat-up guitar case, Yadin has flaws for all to see. 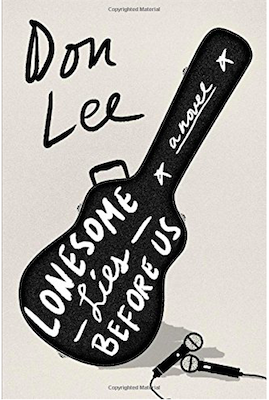 But in Lee’s genuine portrait of struggle and persistence, there’s plenty of magic inside. Rave Paste In his 11th book featuring Hole, Nesbø deepens the already-complex portrait of his antihero ... Wading into dark and deranged territory, Nesbø creates a fine balance between action and tension, with surprises lurking in unexpected corners that provide an edgy and visceral read. He’s a master of structure, style and no-pages-wasted plotting. But Nesbø’s greatest strength as a novelist is the way he places two opposing forces in battle: the perverse criminal and the compulsive detective. In Nesbø’s consistently excellent Hole series, The Thirst may well be the pinnacle. Positive Paste Finkel ultimately answers the question of why he was so drawn to this story with more clarity than Knight offers for his motivation in departing society. But that’s not to knock the thorough reporting and the complex account that Finkel delivers about Knight’s life in the woods and its aftermath. 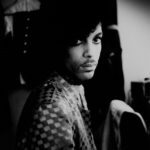 It’s hard to imagine a more empathetic portrait of Knight, who, by his own description, was a square peg who fled the world to find a place he could be content. 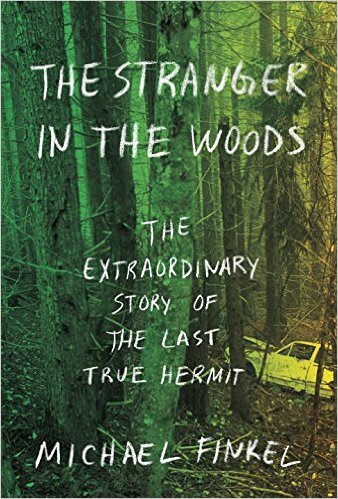 As strong as Finkel’s storytelling instincts and prose are, his greatest feat in writing The Stranger in the Woods is the journalistic diligence and humanity he brought to Knight in the Kennebec County Jail. Through Finkel, Knight is able to speak up with his own voice at last. Mixed The AV Club The richest passage of the book describes a long, solo songwriting weekend ... At other times, explanation of the songwriting is absent of any details at all. It can be quite common among musicians to describe songs simply arriving, a crutch Marr also leans on, thought he at least writes of the circumstances under which spontaneous song arrival can occur ... though Marr’s directness is refreshing, his account too often centers on simply telling what happened, lacking true revelations or a deeper insight into why The Smiths connected so deeply and have endured so strongly in the three decades since the band broke up. 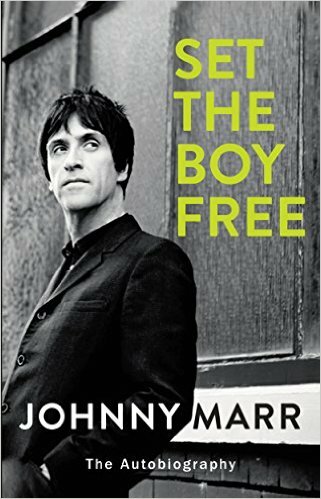 Still, Marr’s prose is sharpest and most engaging when writing about music. Positive Paste Lethem calls on his virtuosic versatility to stitch together an unpredictable and fascinating story, hopping continents, genre and subject matter with ease ... Bruno’s fall from tuxedoed gambler to sweats-clad grill cook might simply be a reversal of past fortunes, the payment come due for prior success, but in Lethem’s hands it’s the novel’s richest section ... Lethem handles this mish-mash of elements with remarkable clarity. 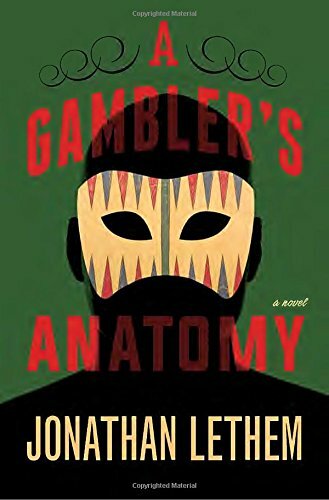 Though A Gambler’s Anatomy may not rise to the level of the author’s best, it’s a daring and animated novel. Positive Paste Hiaasen’s propulsive plot moves this motley collection of weirdos swiftly through a Rube Goldberg string of mistakes and counter-mistakes. 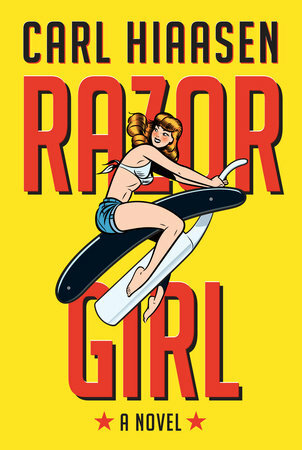 Hiaasen rules this satirized and exaggerated version of Florida as an agenda-driven and vengeful deity, reveling in the self-induced pitfalls that take down the worst offenders. His particular version of Murphy’s Law operates with a sly grin and a razor-sharp sense of humor. 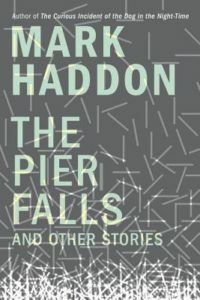 Rave Paste Best known for his celebrated novel, The Curious Incident of the Dog in the Night-Time, Haddon delivers similarly crisp and steady prose with his short fiction. Yet these stories prove more provocative, the inherent suddenness of the form working to the author’s advantage as he pits characters against great challenges ... Well-suited to short fiction, Haddon’s writing draws power and mystery not from the 'What?' but from the 'How?' 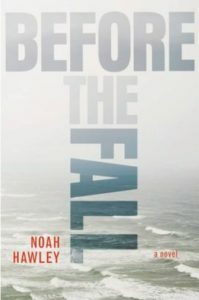 In stories like 'The Pier Falls' and 'The Gun,' the essential plot information is conveyed in the titles themselves. Haddon doesn’t depend on twists or reveals to drive the narrative, instead building tension with the careful observance of these extraordinary moments and their repercussions ... Impressive in its scope and revelatory in its survey of man’s faults and strengths, The Pier Falls is a certain contender for the best short story collection of 2016. Mixed The AV Club Hawley’s novel is driven by a fascination with human reaction to extreme events and the capacity for resilience, and a careful look at what happens when outside forces break people, or merely bend them ... Hawley’s prose is direct and unadorned, with priority given to the story, so it’s no surprise the author is at his best in moments of high action and rising tension ... Unfortunately, some of the cast are better drawn than others, with some character sketches nothing more than feints and diversions—interesting but ultimately extraneous to the plot. And the order of those backstory chapters points the reader toward the conclusion anyway.